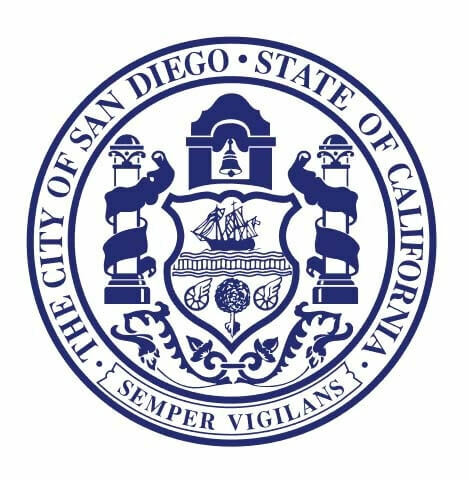 San Diego on Monday became the largest city in the nation to pass a law requiring city contractors and consultants to pay employees equally regardless of gender or ethnicity. The City Council unanimously approved the new legislation, an “equal pay” ordinance that aims to help close persistent pay gaps for women and minorities performing the same work as white men. To avoid overburdening local businesses, the legislation exempts public works contracts under $500,000 and all contractors with 12 or fewer full-time employees. The median annual salary for a male full-time worker in California is $50,359, compared to $42,486 for a female, according to an analysis of Census Bureau data by the National Partnership for Women and Families. The analysis also found that for every $1 earned by white men, black women make 64 cents and Latinas make 44 cents. Federal and state laws already require equal pay, but City Councilman Chris Ward said it’s crucial for San Diego to play a role in enforcing those laws. “Not only is it not fair on its own, it means that women have a harder time providing for themselves, achieving financial independence or planning a secure retirement,” Ward told his colleagues on Monday. Ward said the new law builds on the city’s “rich history” of wage and equal opportunity laws, which includes legislation requiring a living wage, prevailing wages, equal benefits, a minimum wage and earned sick leave. Council President Myrtle Cole became emotional before the council’s vote. “The fact that discrimination still exists in the first place is appalling — whether it’s gender discrimination, race discrimination or wage discrimination,” Cole said. Mayor Kevin Faulconer also praised the legislation, calling the council’s approval an important vote. The San Diego Regional Chamber of Commerce hasn’t taken a position on the new law. Councilman Scott Sherman said he planned to vote against the proposal before shifting gears and eventually casting a “yes” vote. Sherman criticized the data presented by city staff, stressing that the disparities didn’t account for differentials between men and women in seniority and experience. He also called the legislation overkill and divisive. But Sherman’s comments were out of step with the rest of the council and the audience, which included more than a dozen speakers in favor and none opposed. Councilman David Alvarez said it was “about time we talk about this in San Diego,” and Councilwoman Barbara Bry said she experienced the gender pay gap during her career in business. Ken Marlborough, a longtime southeastern San Diego community leader, said the legislation could help address the city’s housing affordability crisis by boosting wages for women and minorities. Rosalind Winstead, a board member of the recently formed Black Women’s Institute for Leadership Development, praised the legislation but said more city effort is needed. Ward said the city is in a particularly strong position to make a difference as the No. 1 employer of contractors and consultants in the region. Annual city contracts typically exceed $600 million per year. Under the proposed law, contractors working with the city would be required to certify that they pay employees equally regardless of gender or ethnicity, and notify their employees of such a policy in writing. But enforcement of the legislation will be complaint-driven and reactive instead of proactive. Violators will get written notice and 30 days to fix any problems. Failures to comply could lead to cancellation, termination or suspension of a contract. The law applies to all contracts awarded, entered into, or extended on or after Jan. 1, 2018. Exemptions include public works contracts of $500,000 or less, contractors with 12 or fewer full-time employees, intellectual property licensing agreements, no-bid contracts and contracts where the city bids on services in conjunction with other government agencies. San Francisco and San Jose have adopted similar laws, as have the states of Minnesota and New Mexico and the city of Tempe, Ariz.